A considerable number of genes that code for AU-rich mRNAs including cytokines, growth factors, transcriptional factors, and certain receptors are involved in both chronic inflammation and cancer. Overexpression of these genes is affected by aberrations or by prolonged activation of several signaling pathways. AU-rich elements (ARE) are important cis-acting short sequences in the 3′UTR that mediate recognition of an array of RNA-binding proteins and affect mRNA stability and translation. This review addresses the cellular and molecular mechanisms that are common between inflammation and cancer and that also govern ARE-mediated post-transcriptional control. The first part examines the role of the ARE-genes in inflammation and cancer and sequence characteristics of AU-rich elements. The second part addresses the common signaling pathways in inflammation and cancer that regulate the ARE-mediated pathways and how their deregulations affect ARE-gene regulation and disease outcome. Cancer and chronic inflammatory conditions including autoimmune diseases are among the leading causes of morbidity. Knowledge about the signaling pathways that are common between inflammation and cancer can lead to deeper insights into the underlying molecular mechanisms of disease and improved therapeutic approaches. A large body of literature supports the notion that common signaling pathways are deregulated in chronic inflammation and cancer (Table 1). In normal cells or cells that are not undergoing inflammatory response, many signaling pathways are dormant, but become transiently activated during immune response and cellular growth. In chronic inflammation and cancer, continued activation of these signaling pathways are distinct features in the biology of these two processes. These same signaling pathways also lead to increased stabilization of a class of mRNAs contributing to the increased expression of these gene products that are involved in inflammation and cancer. Cancer, as a disease, spans alterations in many biological processes and is thus involved not only in oncogenesis but also in maintenance, invasion, hypoxia/nutrient deprivation response, angiogenesis, and metastasis. Certain genes of pro-inflammatory nature contribute to one or more of these processes (Fig. 1). Several key proteins that share common functions in inflammation and cancer process are coded by AU-rich mRNAs (Table 2). The AU-rich mRNAs are a class of mRNAs that bear AU-rich elements (ARE) in their 3′ untranslated regions (3′UTR). Estimated now to be in the vicinity of 10–15% of all transcripts , the ARE-mRNAs comprise a functionally diverse group including inflammatory and immune response, transcription, cellular proliferation, RNA metabolism, development, and signaling . This functional enrichment of ARE-genes correlates with the rapid mRNA decay patterns, particularly with those involved in transcription and signaling . The mRNA stability is a product of not only the cis-acting sequences such as the ARE but also transacting factors, e.g., RNA-binding proteins, that bind directly or indirectly to the cis-acting elements and promote the deadenylation and degradation of the mRNA. The most studied roles of ARE are in mRNA stability and translation. These are modulated during cellular stimulation by inactivation of RNA decay-promoting proteins such as zinc-finger protein, tristetraprolin (TTP) , K-homology splicing-regulatory protein (KSRP) , butyrate response factor 1 and 2 , and certain gene products of the AU-rich element (ARE)/poly(U)-binding/degradation factor 1 (AUF1) . The mRNA stability can be enhanced by the activity of mRNA stabilization-promoting proteins notably the human antigen R (HuR). ARE-mediated changes in mRNA stability are important in processes that require transient responses such as cellular growth, defense to pathogens, cardiovascular toning, and external stress-mediated pathways. Stabilization of the ARE-mRNAs can cause prolonged responses that subsequently may lead to undesirable, e.g., diseased, states including chronic inflammatory diseases and cancer. A number of important ARE-genes are commonly involved in inflammation and cancer (Table 2). Different functional categories and sequence classes of ARE genes are represented in these genes which regulate processes underlying inflammation and cancer. These genes include cytokines, chemokines, growth factors, transcriptional factors, RNA-binding proteins, and others. The following is an appraisal of notable examples of ARE-genes that have been widely studied for their involvement in inflammation and cancer. Tumor necrosis factor (TNF-α) is an AU-rich mRNA coding gene (ARE-gene) that has well-validated ARE. TNF-α is a pro-inflammatory cytokine that triggers the expression of many inflammatory mediators including chemokines. In addition to inducing transcription of a number of ARE-genes, such as interleukin-8 (IL-8), IFN-γ induced IP-10 (CXCL-10), and colony stimulating factors, TNF-α also mediates post-transcriptional regulation by increasing the stability of their mRNAs [8, 9]. Notable evidence on the role of ARE in TNF-α pro-inflammatory action comes from studies of mice with targeted deletion of the ARE in the TNF-α gene . Here, chronic inflammatory arthritis and Crohn’s-like inflammatory bowel disease were observed. Further indirect evidence of the role of ARE in TNF-α production and associated inflammatory pathology is from studies on mice with targeted deletion of ZFP36 that code for the ARE-mRNA destabilizing protein, TTP; the mice exhibit severe inflammatory syndrome, characterized by severe polyarticular arthritis, myeloid hyperplasia, autoimmunity, dermatitis, conjunctivitis, glomerular mesangial thickening, and cachexia . These pathologies are largely the result of increased stability of the mRNAs for TNF-α and GM-CSF and thereby increased secretion of these cytokines [8, 9, 10]. Despite the notion of its name as tumor necrosis protein, TNF-α is in fact a pro-tumor molecule in a number of cancers (reviewed in ). Blockage of TNF-α in mice models results in: failure of hepatitis to develop hepatocellular carcinoma , reduction of colorectal carcinogenesis associated with chronic colitis , inhibition of pancreatic tumor growth and metastasis , and promotion of epithelial ovarian cancer . Other possibilities of TNF-α as a cancer promoter are also shown with other types of cancer . It can act as a growth factor in certain leukemias and lymphomas . Thus, TNF-α is involved both in inflammation and cancer and provides one of the links between chronic inflammation and, in cancer, at least certain tumor types. Colitis-associated cancer is a progression from inflammatory bowel disease, and thus it is one of the best examples of inflammation-induced cancer situations. It has been demonstrated that TNF-α can induce the epithelial-to-mesenchymal transition of colon carcinoma . Drug-induced colitis that leads to tumors is associated with increased TNF-α secretion; in TNF-Receptor p55-knockout mice, reduced mucosal damage, reduced infiltration of macrophages and neutrophils, and attenuated subsequent tumor formation are clearly seen . In addition, monocyte chemoattractant protein-1 (CCL2) plays a role in colitis-associated colon tumors, and this could be mediated by the expression of cyclooxygenase (COX-2) . COX-2, a prostaglandin synthase enzyme, is an important AU-rich mRNA which codes for Class 2 ARE (Table 2). COX-2 has two isoforms, both of which catalyze the committed step in the prostaglandin production pathway; COX-1 is present under basal conditions while COX-2 is an inducible form by many inflammatory and growth promoters that result in prostaglandin synthesis associated with inflammation and cancer. Nonsteroidal antiinflammatory inhibitor drugs (NSAIDs) such as aspirin and indomethacin inhibit both COX-1 and COX-2 while newer generations of NSAIDs selectively inhibit COX-2. The increased activity of COX-2 is associated with colon and other cancers, and promotes cellular proliferation, resistance to apoptosis, angiogenesis, and metastasis [19, 20, 21]. The inflammatory cells in the tumor microenvironment contribute further to COX-2-mediated tumorgenesis via induction of factors and cytokines that increase COX-2 gene expression which involves ARE-mediated mechanisms. Other pro-inflammatory ARE-genes such as TNF-α, IL-1, platelet derived factor (PDGF), vascular endothelial growth factor (VEGF), and others can upregulate COX-2, and, thus, inflammation amplifies cancer through the cytokine induction of COX-2 (Fig. 1). Another important ARE gene that mediates both inflammation and cancer is VEGF. VEGF is upregulated during inflammatory response to increase blood supply, and, therefore, increases in oxygen, nutrients, and infiltrating leukocytes, to the site of inflammation for lesion repair. The source of VEGF is the leukocytes themselves and endothelial tissues, and both can promote angiogenesis of tumors. VEGF can promote inflammatory intestinal angiogenesis and leukocyte adhesion during inflammatory bowel syndrome  which can lead to colon cancer. VEGF is potently induced by the hypoxia-induced factor, HIF1α, a transcriptional factor and also an ARE-gene. Hypoxia is a prominent feature of malignant tumors that is characterized by angiogenesis and vascular hyper permeability. HIF-1α is constitutively overexpressed in several cancers as a result of hypoxia and induces VEGF mRNA stability . Pro-inflammatory cytokines, in the tumor microenvironment, such as TNF-α and IL-1, activate HIF1α. HIF1α, as result of hypoxia during tumor expansion, can act as an inflammatory mediator, and has been shown to have a role in leukocyte migration and in stromal inflammatory cells [24, 25]. Vascular endothelial growth factor triggers the expression of urokinase activator, uPA, a serine protease, and its receptor, uPAR, which is also an ARE-gene; uPA converts plasminogen to plasmin that leads to the degradation of the extra-cellular matrix, an important component of the invasion and metastasis. The increased activity of uPA and its receptor has been associated with invasiveness in a number of tumors . Another related angiogenesis-promoting protein is IL-8, a member of the inflammatory chemokines, a group of cytokines that are involved in chemotaxis of leukocytes to inflamed regions. IL-8 can promote angiogenesis and metastasis in a number of cancers [27, 28]. Thus, in general, chemokines can amplify cancer processes in which tumor-associated leukocytes can release chemokines and growth factors that further maintain or promote tumor growth and survival. Certain chemokines can act as growth factors and some of these chemokines are coded by ARE-genes such as IL-8 and the GRO family which play a role in melanoma growth and metastasis . Other pro-inflammatory cytokines and mediators such as IL-1, IL-6, and inducible nitric oxide synthase (iNOS) play roles in cancer (Table 2). Overexpression or prolongation of iNOS due to chronic inflammation can cause cellular injury in arthritis or colitis-promoting tumors by inducing DNA damage and cellular proliferation . Pro-inflammatory cytokines, many of which are coded by ARE-genes, are released from the tumor micro-environment favoring the initiation and progression of cancer. These happen when these cytokine ARE-genes themselves tend to exert further ARE-mediated post-transcriptional effects that lead to production of the growth factors in neighboring cells (Fig. 1). Having described the role of ARE-genes in chronic inflammation and cancer, the next section addresses the ARE and their sequence structure–function relationships. The ARE are a heterogeneous class of adenylate uridylate-rich sequences that range from loosely defined U-rich or AU-rich sequences to well-defined repeats of overleaping pentamers of AUUUA or the nonamer UUAUUUAUU. The latter motif or its variation UUAUUUAWW is considered the minimally functional ARE sequence; a stronger effect on RNA stability is obtained with two overlapping copies of this nonamer [31, 32, 33, 34, 35]. The pentamer AUUUA in non-AU context is not functional, and, as a matter of fact, it is ubiquitous in many mRNAs, regardless of the mRNA region. With computational biology analysis of labile mRNAs, WWWUAUUUAUWW is the most consensus motif in labile AU-rich mRNAs and is highly specific to the 3′UTR when compared to other regions of the mRNA, e.g., 5′UTR and coding regions . This motif, including variations around the core pentamer, is the basis for building up the ARE-mRNA database (ARED). The ARED motif is closely related to the Class 2 ARE based on the Chen et al. classification where Class 1 ARE have discontinuous nonamers and Class 2 ARE have at least two overlapping copies of the nonamer . Both class II ARE and ARED motifs are found preferentially in labile transcripts in different cell types that are stimulated with different ligands including fibroblasts, hepatocytes, and immune system-type cells such as α-CD3- or CD28-activated T cells and endotoxin-induced monocytes; thus, in general, genome-wide studies confirm the association between these ARE and rapid mRNA decay [3, 37, 38, 39]. Further definition and minimal function of the ARE motif was sought by interaction studies of synthetic RNA molecules and RNA-binding proteins. It appears that from the various studies that functional ARE can exist as either linear non-structured RNA molecules or as structural RNA, i.e., stem-loop structures [40, 41, 42], as in the case of short ARE or certain non-ARE mRNA decay elements. In the first case, the minimally functional linear ARE, UUAUUUAUU, or the 13-bp ARED motif is required. The RNA motif NNUUNNUUU for HuR binding is also functional as linear conformation or as a linear segment within a secondary structure; the latter conformation promotes further recognition by the RNA-binding protein [40, 41, 42, 43]. This RNA motif is still within the 13-bp ARED motif WWWUAUUUAUWWW, and also within the linear ARE segment within a structured RNA of HuR targets that contains UUNNUU(G/U)UUWW . Similarly, work with the neuronal RNA-binding protein HuD shows that the three RNA-binding domains interact with a minimal 13-bp motif that includes UU(AUUU)NAUU . Further evidence of ARE functionality is from work on interactions of synthetic RNA molecules with TTP also showing that as small as UAUUUAU and UUAUUUAUU can bind TTP and that the 13-bp motif ARE has a strong affinity for TTP [45, 46]. The adenylate residues in the pentamer (AUUUA)or hexamer (AUUUUA) core are important for TTP binding but not necessarily for Hu proteins, which unlike TTP, can bind a U-rich tract [44, 45, 46]. Large-scale analysis of ARE based on reporter live cell-based assays are still needed to correlate many of these findings with actual functional effects of ARE variations on RNA and protein levels. A different approach to delineate the ARE and other mRNA destabilization sequence elements has been adopted in recent years in which target mRNAs physically associated with RNA-binding protein are profiled using microarrays followed by RNA motif derivation bioinformatics [43, 47, 48, 49]. These motifs are still characterized by short U-rich dinucleotides and clusters but may inherit authenticity of the RNA-binding protein association with its target transcripts since not all the target mRNAs harbor the identified sequence signature. Although the ARE can exist in other regions of the mRNA, though to a much lesser extent, such as 5′UTR and coding regions, the 3′UTR are the main source of ARE . The 5′UTR are well known for their translation regulatory role in cellular and viral mRNA including cap-dependent and internal ribosomal entry site (IRES)-mediated processes  but can have a function in mRNA decay, for example iron response element [49, 50]. Few coding regions have been reported to bear mRNA instability motifs, though not typical of ARE, such as those in interferon-β and CD38 coding regions [51, 52]. The 3′UTR length can be a determinant factor in RNA stability. It appears that the 3′UTR of ARE-mRNA is longer than non-ARE mRNAs such as those of housekeeping genes [53, 54, 55]. Longer 3′UTR tend to have a higher proportion of miRNA targets, indicating the higher order of post-transcriptional regulation complexity. Certain miRNAs may synergize with ARE on the same 3′UTR by reducing RNA stability and/or translation . Alternative polyadenylation that results in differential expression of short and long 3’UTR is widespread in the transcriptome. This length alteration can reflect functional responses towards miRNAs, ARE involvement, and RNA-binding proteins. Short 3′UTRs escape at least a part of miRNA-mediated suppression and ARE-mediated decay [57, 58]. Indeed, this 3′UTR length-mediated control has a functional outcome on protein levels and activity including cellular growth [57, 58]. The length of ARE itself, e.g., the number of the overlapping pentamer, AUUUA, may contribute to the mRNA half-life. Experimentally, it has been shown that the number of ARE pentamers correlate with the half-life of ARE-mRNAs . Bioinformatics clustering of ARED resulted in five groups, I–V, that include mRNAs whose 3′UTRs have five, four, three, and two consecutive AUUUA pentamers, and single AUUUA pentamer in flanking AU-context, respectively. The number of these transcripts in these groups increased dramatically from group I to group V. The last group is heterogeneous and large and not necessarily functional while the key characteristic of other groups’ transcripts is the presence of the WWAUUUAUUUAWW sequence which likely RNA-binding proteins such as TTP could bind to, thus resulting in a large number of potential TTP and other RNA-binding protein mRNA targets . In a detailed analysis of ARE-mRNA half-lives in endotoxin-stimulated monocytes and activated T cells, longer ARE are associated with shorter half-lives [37, 38]. The ARE are conserved among different species . However, orthologs may bear different ARE arrangements such as the number of overlapping pentamers in AU-rich clusters. Although a significant proportion (>25%) of human genes differ in their ARE patterns from mouse and rat transcripts . This suggests that the ARE-mediated post-transcriptional control for a given gene may be functional in one organism but not in another. The heterogeneity may also reflect diversity of the AU-rich binding proteins and their protein–protein interactions. In general, the ARE are the most studied and validated mRNA destabilization elements. However, other mRNA destabilization elements do exist . The existence of the GU-rich element motif, UGUUUGUUUGU, which may mediate mRNA decay, in a number of labile mRNAs has been recently shown . Altogether, it is clear that there are several mRNA decay elements in the 3′UTR which may explain the repertoire of RNA-binding proteins that are thought to exist in thousands. The RNA-binding proteins play key roles in each of the processes in which the ARE are involved including RNA processing, export, localization, degradation, and translation. At default, the ARE maintain the instability behavior of many ARE-mRNAs and have an inhibitory action on translation [62, 63]. In certain conditions, the ARE can switch into a translation activation signal, such as in the case of TNF-α mRNA translation during serum starvation that leads to cell cycle arrest . Not all the RNA-binding proteins that affect post-transcriptional regulation of genes are discussed here. The HuR and TTP proteins are the most studied RNA-binding proteins in the context of chronic inflammatory conditions and cancer and regulate ARE-genes involved in these diseases. Thus, more emphasis on these two proteins is given throughout this review. TTP is a part of the zinc-finger family proteins consisting of conserved Cys-Cys-Cys-His domain and comprising TTP (also known as ZFP36, TIS11, G0S24 and NUP475), ZFP36L1 (TIS11b, cMG1, ERF1, BRF1 and Berg36) and ZFP36L2 (TIS11d, ERF2 and BRF2) . Mutation of either of the two zinc-fingers of TTP by a single-point mutation (Cys to Arg), e.g., C124R mutant, fails to bind TNF-α 3′UTR and its ARE . Well-established mRNA targets for TTP binding are involved in inflammation include the mRNAs of TNF-α, GM-CSF and IL-3 [10, 67, 68, 69]. Furthermore, two targets of TTP that are related to both inflammation and cancer have been identified, namely COX-2 [70, 71] and VEGF . A polyadenylation ARE-mRNA transcript variant of HuR has recently been uncovered and is responsive to HuR auto-regulation and to wild-type TTP mRNA decay action but not to the zinc-finger mutant (C124R). Transcriptome analysis using RNA from TTP wild-type and knockout cells identified further mRNA targets [55, 74]. Human antigen R is a member of the mammalian homologues of embryonic lethal abnormal vision (ELAV) proteins comprising a group of RNA-binding proteins first described in Drosophila . It is predominantly nuclear, but translocates to the cytoplasm upon cellular activation, binds selected mRNAs and causes their stabilization . HuR and other members of ELAV proteins possess three RNA-recognition motifs through which they bind with high affinity to specific mRNAs bearing AU- and U-rich sequences affecting their stability and/or translation [77, 78, 79, 80, 81]. The array of HuR target mRNAs is large, as analyzed by profiling of mRNAs that are bound to HuR protein which include many cytokines, growth factors, cell-cycle regulators, and many others [43, 80, 82]. Recent work, particularly with conditional deletion of HuR in mice, reveals complex and essential roles of HuR in development including thymic T cell maturation, placental branching morphogenesis, spleen ontogeny, intestinal integrity, and hematopoietic progenitor cell survival [83, 84, 85]. Tristetraprolin and several other RNA-binding proteins such as BRF1, KSRP, and AUF1 appear to function by targeting AU-rich mRNA to the exosome, a multiprotein complex with 3′–5′ exoribonuclease activity representing a major degradation scheme in eukaryotes . When phosphorylated, these RNA-binding proteins are complexed with 14-3-3 proteins that influence their sub-cellular localization and mRNA decay activity [6, 87, 88]. The 14-3-3 proteins also protect RNA-binding proteins such as TTP from de-phosphorylation by the protein phosphatase 2α40, resulting in further stabilization of ARE-mRNA . ARE binding proteins can also function by recruitment of degradation factors other than the exosome [90, 91]. Another pathway of 5′–3′ decay can also occur during degradation of ARE-mRNAs in the cytoplasmic RNA foci called processing bodies . In tumor cells or during the cell cycle, and also in response to inflammatory stimuli, HuR may stabilize certain mRNAs by the displacement or inhibition of factors such as TTP, KSRP or AUF1 that specifically cleave or deadenylate these mRNAs. Associations of KSRP and AUF1 p45, or KSRP and HuR, allow fine tuning of ARE-mRNA stability [93, 94]. A specific example is that siRNA-mediated knockdown of HuR led to larger AUF1 association with cyclin D and p21 mRNAs . Ectopic expression of HuR overcomes TTP-mediated destabilization of IL-3 mRNA and HuR mRNA in an ARE-dependent manner [69, 73]. CUGBP2 can override HuR and suppresses COX-2 mRNA translation . Pro-inflammatory cytokines can reduce KSRP binding and enhance HuR binding to iNOS 3′UTR-ARE leading to its stabilization . Thus, it appears that HuR antagonize ARE-mRNA decay-promoting proteins during chronic inflammation and cancer. AUF1 is another characterized RNA-binding protein with two quasi-RRM domains that consists of four protein isomers of 37, 40, 42, and 45 kDa differing in their terminal domains and their RNA-binding activity . AUF1 binds to and destabilizes both inflammation and cancer-associated ARE-mRNAs such as c-myc, TNF-α, GM-CSF and others [98, 99]. Like TTP, AUF1 acts as another negative feedback mediator of the innate response to inflammatory stimuli such as endotoxin; LPS challenge in AUF1-knockout mice displays symptoms of severe endotoxic shock due to overproduction of TNF-α and IL-1β . However, in certain conditions, certain isoforms of AUF1 or during effects on certain ARE classes, AUF1 can stabilize mRNAs, for example during heat shock, and in certain cancer situations such as in the case of cyclin D1 and c-fos mRNA [98, 100]. The fragile X mental retardation, autosomal homolog 1 (FXR1), is a K–H type RNA-binding protein that interacts with TNF-α ARE to either repress or upregulate mRNA translation during serum growth or starvation conditions, respectively [64, 101]. FXR1 knockout and conditional knockout mice exhibit muscle wasting that may be attributed to increased TNF-α mRNA translation . A recent review describes in detail the role of the miRNP (microribonucleoprotein)-associated proteins FXR1 and Argonaute 2 as effector molecules that bind the ARE to activate TNF-α mRNA translation . These examples demonstrate that there is a complex interplay of RNA-binding protein in the 3′UTR and ARE regions that determines the outcome of the mRNA half-life as affected by external stimuli. Further details on the function of the RNA-binding proteins are given in the next section. What are the common signaling pathways that operate during chronic inflammation and cancer and how do they affect RNA-binding proteins interactions with ARE? A significant link between inflammation and cancer arise from the molecular and physiological observations of the effect of NSAIDs; attenuation of chronic inflammation by NSAIDs corresponds to lower incidence of cancer, notably colon cancer. Thus, one may conclude that signaling pathways or at least part of them—that are targeted by NSAIDs—are operative in both inflammation and cancer. One of these is the NF-κB pathway (recently reviewed in [103, 104]). Many of the cancer-promoting proteins are ARE-genes in which their gene transcriptions are triggered by NF-κB (Fig. 1). Stimulation of these genes by pro-inflammatory cytokines themselves or ligands of toll-like receptor initiates signaling that diverges into transcriptional (NF-κB) and post-transcriptional regulatory pathways [105, 106]. The latter pathways constitute the mitogen-activated protein kinase (MAPK), phosphatidylinositol 3-kinase (PI3 K)-AKT, Wnt/β-catenin pathways, and others [6, 37, 87, 107]. Since signaling pathways are deregulated in cancer and common with those occurring during chronic inflammatory conditions, it is likely these continually active signaling pathways lead to changes in the expression and localization of RNA-binding proteins that favor tumorgenesis and chronic inflammation. Most of the studies on signaling pathways have been performed with transcriptional induction in contrast to post-transcriptional modulation. However, the p38 MAP kinase and PI3 kinase pathways are the most studied signaling pathways regulating ARE-mediated post-transcriptional events (Fig. 2). That does not mean the other pathways are not involved since there are indeed scattered but non-extensive reports on their involvements (Table 1). Inflammatory stimuli activate the three MAPK major pathways: extracellular signal-regulated kinase (ERK), c-jun N-terminal kinase (JNK), and p38 MAPK pathways. Abnormalities in signaling pathways of MAPK, particularly the ERK pathway, are associated with cancers in mice and humans (reviewed in ). Constitutive activation of ERK can occur with activation of Raf and Ras oncogenes that are commonly deregulated in cancer. The JNK pathway can be activated in certain cancer types  and has also been demonstrated in the stabilization of VEGF and iNOS . Downstream of MAPK are other kinases such as the MAPK-activated protein kinase 2 (MAPKAPK2 or MK2) which regulate both transcriptional and post-transcriptional gene expression. The p38 MAPK pathway activation in inflammation is one of the most common pathways that regulate mRNA stability in multiple cell types. This pathway is central to the stabilization of many ARE-mRNA involved in inflammation and cancer, including COX-2, TNF-α, IL-3, IL-6, IL-8, macrophage inhibitory protein 1 (MIP1), GM-CSF, VEGF, c-fos, and uPA [69, 111, 112, 113, 114, 115, 116]. The pro-inflammatory cytokines, IL-1α and TNF-α, have been found to stabilize a significant number of cytokines and chemokines including CXCL-10 (IP-10), GRO proteins, and fractalkine (SCYD1), and several genes involved in regulation of inflammatory responses such as TNFAIP3, NFκBαI, and mannose-binding lectin (MBL2) [117, 118, 119]. These cytokines and many others are regulated by the p38 MAPK signaling and its target, MK2, to trigger the ARE-mRNA stabilization. Not all ARE-mRNAs, regardless of the ARE class, are targets for the MAPK p38 pathway . Thus, the p38 MAPK pathway is not essential for all ARE-mRNAs and appears to be also dependent on the stimulus. Cooperative action of p38 MAPK and ERK pathways can be necessary for optimal ARE-mRNA stabilization, particularly in the case of inhibition of TTP . Another p38 MAPK downstream target with structural and functional similarity to MK2 is MK3; it is thought to cooperate with MK2 in TNF-α mRNA stabilization . Activation of the p38 MAPK pathway leads to MK2-mediated phosphorylation of TTP and KSRP leading to loss of function of these RNA-binding proteins, e.g., reduced affinity to ARE regions, and subsequently ARE-mRNA stabilization (Fig. 2) [122, 123, 124]. A detailed role for MK2 is demonstrated, for example, in the stability of IL-8 mRNA since mutants of MK2 interfere with IL-8 mRNA stability . Selective activation of the p38 MAPK pathway by MAPK kinase 6 induces mRNA stabilization of IL-8 . MK2 can regulate IL-6 at the levels of mRNA stability, and of TNF-α mainly through TNF-ARE-dependent translational control . In vitro evidence shows that TTP can be directly phosphorylated by either p38 or MK2 potentially modifying mRNA destabilizing activity of TTP [121, 122]. Activation of p38 MAPK pathway by pro-inflammatory cytokines such as IL-1α can phosphorylate KSRP leading to loss of its binding activity to ARE and subsequently mRNA stabilization [93, 124]. The MK2-knockout mice with induced collagen arthritis exhibit decreased disease incidence and severity, associated with reduced TNF-α and IL-6 serum levels . Inhibition of p38 using the pharmacological inhibitor SB203580 (SB), or by expressing dominant negative MK2, abolishes endotoxin-induced COX-2 mRNA stabilization and leads to rapid degradation of COX-2 mRNA [124, 125, 126]. Recent evidence shows that p38 regulates stability of several ARE-mRNAs, e.g., COX-2, IL-1α, IL-6, and IL-10 exclusively through TTP phosphorylation such as in murine bone marrow-derived macrophages .These above studies and others offer strong evidence for the p38 MAPK regulation of ARE-mRNA stability and the association with loss of TTP function. The p38 MAPK activation further results in hosting of the RNA stabilizing proteins such as HuR in place of the displaced RNA decay-promoting proteins. The p38 MAPK may also phosphorylate ARE-stabilizing proteins such as HuR which could compete with the destabilizing proteins such as TTP as suggested in studies on the regulation of IL-3 mRNA decay . The p38 MAPK regulates HuR localization and subsequently HuR mRNA targets that are involved in chronic inflammation and cancer such as uPA and COX-2 [128, 129, 130]. Certain signaling pathways converge or cooperate with MAPK pathways in the ARE-mediated post-transcriptional control such as the PI3-AKT and β-catenin pathways (Fig. 2); both of these and others are discussed in the next section. For further details on MAPK and post-transcriptional gene regulation, several excellent reviews have appeared in the literature [131, 132]. The PI3 kinase pathway comprises lipid and protein kinases that regulate numerous biological processes, including cell growth, differentiation, survival, chemotaxis, and metabolism. As a result of ligand engagement of a number of receptors for integrin, tyrosine kinases, cytokines, and growth factors, activation of the PI3 kinase catalyzes the addition of a phosphate group to the phosphatidylinositol lipids (PIP2), generating different 3′ phosphorylated products (PIP3) that act as second messengers. PIP3 leads to membrane recruitment of the cystolic AKT3 to the membrane and its activation (Fig. 2). Activated AKT3 (also called protein kinase B) is a central serine-threonine kinase effector that participates in the various biological processes such as the cell cycle progression and survival (e.g., reduced apoptosis). Deregulation of the PI3 K signaling pathway has been foundto be frequently associated with cancer, and simple overexpression of wild-type PI3 Kα can be sufficient to induce an oncogenic phenotype in cultured cells . Mutations in the PI3 kinase components, genetic alterations in tyrosine kinase receptors, or loss of PI3 kinase negative regulator, PTEN, can be detected in a large number of human tumors. Several tyrosine kinase growth factor oncoproteins activate the PI3-kinase pathway including EGFR (an ARE-gene), PDGFR, VEGFR, stem-cell factor (kit, an ARE-gene) and hepatocyte growth factor (met). As a result, increased PI3 kinase activity in cancer cells and subsequently increased growth and survival are observed (reviewed in ). In inflammation, the PI3 Kinase pathway drives certain inflammatory processes such as neutrophil chemotaxis, mast cell and eosinophil migration, and degranulation. Inflammatory cytokines such as TNF-α can activate the PI3-AKT pathway which subsequently leads to activation of the NF-κB pathway, and this appears to be the case with certain cell types . The PI3 kinase pathway has been shown to be involved in the mRNA stabilization of several reporter genes linked to the ARE of IL-3, GM-CSF, TNF-α, IL-2, and IL-6 [127, 136]. Hence, PI3 kinase activation further amplifies the processes underlying chronic inflammation and cancer partially by post-transcriptional augmentation of cytokines and tyrosine growth factors. Other signaling pathways which operate both in chronic inflammation and cancer and also regulate ARE-dependent post-transcriptional control of gene expression exist (Table 1). For example, protein kinase C (PKC) activation has been shown to increase COX-2 mRNA stability, and this effect appears to be mediated by crosstalk with the MAPK pathway [137, 138]. The Wnt β-catenin pathway activation can stabilize ARE-mRNAs. For example, β-catenin binds to the ARE region of the COX-2 mRNA and increases its stability and interacts with HuR . Further amplification of the Wnt pathway can arise from the action of pro-inflammatory prostaglandins, in particular PGE2, produced by COX-2 . The PI3-AKT pathway can increase the stability of the β-catenin pathway by inactivating the RNA decay properties of KSRP through AKT-mediated phosphorylation at a unique serine residue in KSRP, that results in association with the multifunctional protein 14-3-3 and prevents KSRP interaction with the exoribonucleolytic complex exosome . Signaling pathways such as the NF-κB, STAT-JAK, and β-catenin pathways activate transcription of RNA-binding proteins or ARE-genes that are involved in chronic inflammation and cancer which lead to post-transcriptional effects. Increased transcription of HuR may be mediated by a putative NF-κB binding site in the HuR promoter . Thus, increased NF-κB activity during chronic inflammation and cancer may be associated with elevated HuR transcription, and, subsequently, higher HuR-mediated stabilizing effects on target mRNAs. Because of the apparent heterogeneity of ARE sequences and interactions with their binding proteins, it is expected that the heterogeneity also extends to the signaling pathways regulating ARE-mediated events. How do deregulated pathways in inflammation and cancer affect ARE-mediated processes? The various signaling pathways discussed above are dysregulated in chronic inflammation and cancer, either by prolonged activation and/or by loss of negative feedback control of mRNA expression (Figs. 1 and 2). One outcome is alterations in the behavior of ARE-binding proteins due to the signaling pathway aberrations; these events cause overproduction of pro-inflammatory molecules and cancer-promoting gene products. Further, defects in ARE-mediated processes may arise by different mechanisms including mutations in the ARE themselves, chromosomal deletions of ARE regions, promoter silencing of RNA-binding proteins, differential expression of miRNA targeting ARE-genes or RNA-binding proteins, and differential abundance of ARE-deficient alternative mRNA forms. The following summarizes these potential mechanisms that affect ARE-mediated post-transcriptional control, and the associated diseases of inflammation origin and cancer. Overexpression of RNA-binding protein that tends to stabilize AU-rich mRNAs such as HuR and certain isoforms of AUF1 is observed in certain cancers. Also, under-expression of RNA destabilizing proteins such as TTP can lead to increase in AU-rich mRNAs that are involved in chronic inflammation and cancer. Changes in localization of the RNA-binding proteins towards a compartment that facilitates their action comprise a possible deregulated mechanism that leads to overexpression of the proteins involved in chronic inflammation and cancer crosstalk. Many RNA-binding proteins are nuclear-cytoplasmic shuttling proteins that can translocate during activation. During disease, an RNA-binding protein may be locked into one compartment that becomes either active or non-active, depending on the protein, and thus influences the outcome of RNA turnover. Human antigen R is predominantly nuclear, but during cellular growth and activation, it translocates to the cytoplasm where it binds AU-rich mRNAs, including those involved in inflammation and cancer such as VEGF, COX-2, and IL-8, IL-6, and TNF- α, and promotes their mRNA stabilization. In particular, HuR has the capacity to upregulate many cell-cycle and pro-growth genes by binding and stabilizing their mRNAs such as cyclins, growth factors, and transcriptional factors. Several independent lines of evidence strongly support the role of HuR in promoting cellular growth. HuR knockdown of HuR by siRNA or antisense vectors decreases cellular growth [142, 143]. Knockdown of HuR also leads to decreased cellular growth and VEGF expression in colorectal cancer cells . miR-519 represses HuR translation, in turn reducing HuR-regulated gene expression and cell division . Further indirect evidence is that RNase L suppression of cellular growth is associated with reduction in HuR mRNA expression . Several studies have pointed out that HuR is overexpressed in tumor cells when compared to their normal counterparts, with increased localization of HuR in cytoplasmic compartments. Breast, colon, gastric, prostate, and ovarian cancers have been linked to overexpression of HuR and increased cytoplasmic localization, when compared to normal tissues [143, 147, 148, 149, 150]. HuR is particularly seen in higher amounts with advanced versus early tumors such as in case of gastric tumors, glioblastomas, breast cancer, and lung cancer [149, 151]. Cytoplasmic expression of HuR is increased in urethane-induced neoplasia and in butylated hydroxytoluene-induced compensatory hyperplasia in mouse lung tissue . However, certain studies have shown that HuR overexpression may be limited to a small sub-set of tumors . Cytoplasmic but not nuclear HuR expression is significantly associated with tumor grade, poor differentiation, and lymph node metastasis in non-small cell lung cancer with increased levels of VEGF-C . In an epithelial to mesenchymal transition colon cancer rat cellular model that undergoes invasive phenotype in response to Ras and TGF-β, a synergistic effect is observed with the stability of several ARE-mRNA including COX-2 and VEGF . The VEGF mRNA is a target for HuR binding and effect. It is associated with increased HuR expression in different types of cancers; for example, major HuR expression is detected in perinecrotic areas in which VEGF, COX-2, and IL-8, all angiogenesis factors, are up-regulated . HuR overexpression and cytoplasmic localization leads to binding to, and upregulation of, COX-2 mRNA expression in a number of cancers [71, 156, 157, 158, 159]. The highly invasive breast cancer cell line, MDA-MB-231, which has increased constitutive levels of uPA, is due to impairment in the ARE-mediated decay of uPA mRNA; this is correlated with HuR overexpression and p38 MAP kinase induction . Thus, these many studies clearly show consistent correlation of cytoplasmic localization of HuR with tumor grade, tumor size, and patient survival in many types of cancer tissues. How is cytoplasmic localization of HuR promoted in tumor cells? Certain signaling aberrations in cancer may promote cytoplasmic HuR localization such as p38 MAPK and PKC pathways. The overexpression of constitutively active MK2 results in increased HuR cytoplasmic localization in the MDA-MB-231 invasive breast cancer line . HuR phosphorylation by p38 MAPK, cAMP kinase, PKC, and cell-cycle G2-phase kinase Cdk1 can regulate HuR shuttling and thus affect the mRNA stabilization outcome [128, 160, 161]. Aberrations in the expression or activity of these kinases in cancer can lead to changes in HuR phosphorylation that favor cytoplasmic localization of HuR. A detailed review on the role of phosphorylation in HuR translocation, see . 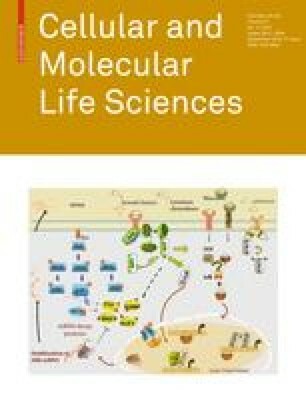 Continued secretion of cytokines and growth factors during chronic inflammation and cancer contribute to a prolonged state of activated pathways such as the MAPK pathway that maintains mRNA stabilization by inactivation of RNA-binding proteins that participate in mRNA decay such as TTP and KSRP (Fig. 2). These events allow the prevalence of HuR stabilizing action. Elevated HuR expression occurs with the loss of TTP expression at an early stage of colorectal tumorigenesis that is associated with increased COX-2 expression . TTP mRNA and protein levels are significantly decreased in tumors of the thyroid, lung, ovary, uterus, and breast compared to non-transformed tissues . Loss of TTP is observed in the highly metastatic breast tumor line, MDA-MB-231, that is functionally associated with increased invasion and elevated expression of uPA and uPAR mRNAs due to their stabilization . It is not necessarily that TTP levels are reduced in order to observe reduced TTP-induced mRNA decay, since phosphorylation of TTP due to aberration in signaling pathways, such as overactivated p38 MAPK, is a defect that is observed in several cancers. An example is demonstrated with malignant gliomas in which TTP is hyperphosphorylated due most likely to p38 MAPK activation . Here, loss of TTP can be linked to overexpression of TTP mRNA targets that are involved in inflammation and cancer such as VEGF . Since the ERK pathway is overactivated in cancer, it is thought that ERK activation results in phosphorylation of TTP, leading to an increase in TTP mRNA targets such as VEGF . Loss of TTP in hepatocellular carcinoma is thought to lead to an increase in HIF1α, a key player in angiogenesis . A possible mechanism of TTP deficiency in tumor cell lines and tumors is silencing of TTP promoter due to epigenetic alterations as a result of changes in DNA methylation or altered chromatin . Possible loss of TTP and probably other ARE-mRNA decay-promoting proteins is overexpression of miRNAs that target the mRNAs of these proteins; the miR-29a which may be overexpressed in breast cancer tissues can suppress TTP . Thus, the loss of post-transcriptional regulation due to decreased expression of mRNA decay proteins such as TTP can occur with different mechanisms and allow enhanced expression of common inflammation and cancer genes. An indirect involvement of TTP dysfunction in chronic inflammatory conditions may be deduced from the observation that the anti-inflammatory cytokine, IL-10, increases TTP expression and subsequently reduces the pro-inflammatory cytokines, TNF-α and IL-1 . Certain IL-10 promoter polymorphisms that result in reduced IL-10 production may be associated with a number of autoimmune and inflammatory chronic diseases such as inflammatory bowel disease . Thus, it is possible that dysfunction in IL-10 production would lead to reduced TTP levels and subsequently elevated pro-inflammatory cytokines. Thus, the strong anti-inflammatory properties of TTP can be explained by both direct targeting of pro-inflammatory mRNAs for degradation and by helping the potent anti-inflammatory cytokine, IL-10, to exert its immunosuppressive effects. IL-10-deficient mice develop a range of auto-immune diseases, colitis and colorectal cancer similar to the inflammatory bowel disease-associated cancer in humans [168, 169]. The role of IL-10 in either promoting or inhibiting tumor growth in humans may still be controversial and would require larger patient data . Since IL-0 mRNA itself is subject to decay promotion by TTP , this suggests that ARE-mediated decay is important for immune homeostasis. Certain ARE-genes code for alternative polyadenylation variants that have multiple poly(A) sites that may be differentially used during inflammation and cancer. The loss of the ARE in the 3′UTRs due to changes in alternative splicing or polyadenylation pattern may lead to overexpression of an undesirable pathway triggered by the alternative transcript. The existence of two transcripts generated by the use of alternative polyadenylation sequences that differ in their 3′UTRs and the differential presence of ARE is found in a number of genes. Notably, these are COX-2, cyclin D1, VEGF, fibroblast growth factor 2, and, recently, HuR [70, 73, 171, 172, 173]. In the latter case, the different alternative variants have differential response to HuR-induced stabilization and destabilization to TTP and other mRNA decay players [73, 146]. Similarly, alternative splicing that result in ARE and non-ARE form can also be differentially regulated. The COX-2 gene codes for two alternative polyadenylation variants that differ in their 3′UTR length with different patterns of post-transcriptional regulation [70, 171]. Both the major transcripts of COX-2 gene, 2.8- and 4.6-kb mRNAs, contain a highly conserved ARE region (cluster III ARE, Class 2) in the proximal part of the 3′UTR. However, the longer transcript contains an additional conserved ARE region (Class 1 ARE). These different transcripts respond differentially to TTP-mediated RNA decay [70, 171]. In certain cancer types, the abundance of expression of the shorter transcript is higher, which may contribute to the overexpression of COX-2 in cancer and during inflammatory activation [70, 171, 172, 173]. In some primary tumors and in cell lines, cyclin D1 mRNAs of smaller size—due to chromosomal alterations that lead to deletion of ARE-3′UTR in CCND1 gene—can be detected and substantially increased in mantle cell lymphoma cells . Cyclin D1 overexpression is known to perturb the G1-S transition of the cell cycle and thereby contributes to tumor development. HuR mRNA also has several alternative polyadenylation variants, with the least abundant being a long 3′UTR transcript that harbors an ARE and is responsive to HuR auto-regulatory process . Short stable FGF-2 mRNAs are present in transformed cells, whereas normal fibroblasts contain mostly long ARE containing unstable mRNAs . The effect of alternative polyadenylation on ARE-mediated mRNA stability was also demonstrated with VEGF mRNA . Hypoxia in the tumor environment or in an inflammatory tumor microenvironment triggers the expression of the ARE-mRNA product, HIFα, which in turn induces a range of HIF-responsive genes including those encoding other ARE-mRNAs, notably VEGF (Fig. 1). In addition to transcriptional induction, both VEGF and HIF expression is modulated by ARE-mediated post-transcriptional effects in response to hypoxia. HuR binds to a U-rich region in VEGF 3′UTR and mediates increased mRNA stability . A number of RNA-binding proteins, e.g., HuR and PTB (polypyrimidine tract-binding protein), bind to U-rich/AU-rich region of VEGF and HIF 3′UTRs . HIF1α also has a VEGF-independent role in the regulation of glycolytic capacity in myeloid cells contributing to the survival of macrophages and other cells in the tumor microenvironment . The loss of Von Hippel-Lindau (VHL) tumor suppressor action leads to increased VEGF expression at a post-transcriptional level contributing further to hypoxia-induced angiogenesis in certain tumor types such as renal carcinomas . This effect may be mediated by TTP down-regulation since VHL decreases TTP expression . Another protein affected in renal cancer by VHL gene loss is the survival factor, parathyroid hormone-related protein (PTHrP), in which its mRNA stability is altered by HuR . As HIF-1α is constitutively overexpressed in several cancers as a result of hypoxia, it also increases ARE-mRNA stability of VEGF  in a manner that is associated with HuR expression and cytoplasmic localization. Thus, both overexpression and cytoplasmic localization of HuR during tumorgenesis further promote the processes of cancer such as angiogenesis (e.g., VEGF) and invasion/metastasis (uPA). Additionally, loss of TTP in cancer increases HIF1α , and promotes angiogenesis-related processes. The ARE binding proteins T cell internal antigen-1 (TIA-1) and TIA-1 related protein (TIAR) are translational silencers for TNF-α and certain Class II ARE mRNA translations. They bind ARE in TNF-α mRNA molecules without affecting the mRNA stability itself. As a result, mRNAs are diverted from the polysomes to untranslated messenger ribonucleoproteins in a form of stress granules, cytoplasmic domains into which mRNAs are sorted dynamically [180, 181]. The role of TIA in inflammation is observed with TIA knockdown mice which develop mild arthritis . In cancer, loss of ARE-mediated translational repression by TIA due to defective binding to the ARE promotes COX-2 expression as observed with certain colon cancer cell lines . Removal of the ARE stretch correlates with the increased oncogenicity of proto-oncogene fos . Bcl-2 mRNA is an ARE-mRNA in which its increased stability may lead to overproduction of the antiapoptotic BCL-2 protein likely responsible for neoplastic transformation of follicular B cell lymphoma [185, 186]. The mRNA of the transcription factor CHOP, which is involved in cell division and apoptosis in response to stress, is regulated by ARE . Increased constitutive expression of an ARE-mRNA isoform for 6-phosphofructoso-2-kinase, which is a key enzyme in the Warbug effect of the oxygen-dependent enhanced glycolysis in cancer cells, has been shown to be required for tumor growth in vitro and in vivo . In the same context of enhanced glucose metabolism in cancer cells, the stability of glucose transporter Glut1 mRNA has been shown to be regulated by ARE and ARE binding proteins and correlates with certain tumors including gliomas . Increased production of hematopoietic growth factors, e.g., GM-CSF, acting as autocrine growth factor due to defects in ARE-mediated stability may contribute to leukemia pathogenesis . The sequence heterogeneity of ARE, the high number ARE-genes, and the multiple signaling pathways that change the behavior of so many RNA-binding proteins are indicative of the high complexity and repertoire of ARE interactome. Changes in any of these various players and processes may disturb ARE-mediated post-transcriptional pathways leading to specific abnormalities seen in chronic inflammation and cancer. Overexpression and cytoplasmic localization of stabilizing ARE binding proteins, notably HuR, with commitment functional loss of RNA decay-promoting proteins such as TTP can be associated with chronic inflammation and cancer. Continued production of pro-inflammatory and pro-cancer ARE-gene products can then result from aberrations in ARE-mediated processes that affect mRNA stability and translation (Table 3). The ARE-gene family is close to 15% of the human transcriptome, which contains functionally diverse proteins, thus one can speculate on the involvement of many of the deregulated ARE-mRNAs in chronic inflammation and any of the cancer processes. Therapeutic interventions that aim to control aberrant signaling pathways, both in chronic inflammation and cancer, might also lead to the control of sustained ARE-mediated post-transcriptional gene expression events. Knowledge on the interplay and redundancy of RNA-protein interactions in inflammation and cancer may result in the design of new therapeutic approaches that aim at chronic inflammatory diseases and cancer, and their linked pathology.